MAN-FOR-MAN HELPS PROVIDE RESOURCES FOR OFFENDERS LEAVING PRISON -- AND CONNECTS THEM WITH JOBS IN MADISON COUNTY. THE PROGRAM STARTED BACK IN 2000. ANDERSON, Ind. — When inmates are released from jail, some say it can be a journey to reintegrate into society. 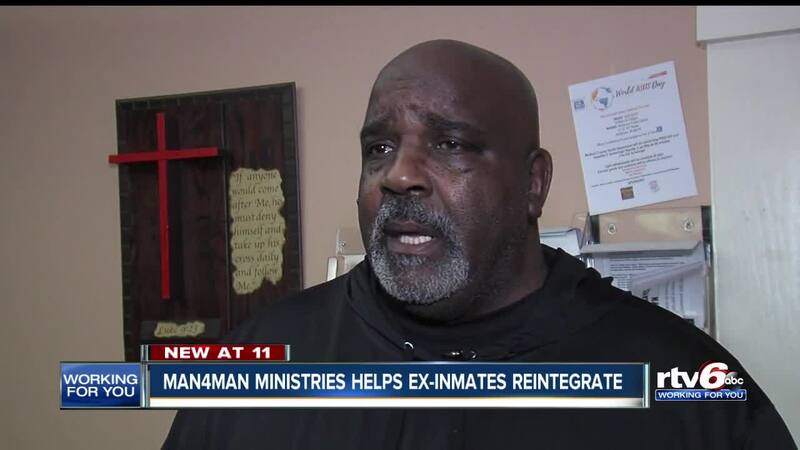 Man 4 Man Ministries in Anderson hopes to help people who are trying to reintegrate. Offenders, people on work release, judges, attorneys, and drug court staff came together Friday for lunch and to have a conversation talk about experiences. People who are in the program say listening and sharing has helped them to open up to different perspectives. Those conversations they say have helped them to make a positive change in their life. The program started in 2000 and helps to provide resources and connect offenders leaving prisons with employers in Madison County.